NSF International led the development of the American National Standards for all chemicals used to treat drinking water and materials/products coming into contact with drinking water. Today, government agencies around the world utilize NSF International standards to verify the safety and performance of water treatment chemicals, pipes, and plumbing components and to ensure these products do not leach harmful levels of contaminants into drinking water. To earn NSF/ANSI 61 certification, J P Specialties’ Earth Shield® PVC Waterstop was subject to rigorous testing and evaluation to verify the product met requirements for use in treating drinking water. NSF International also audited J P Specialties’ manufacturing facility to verify compliance with the standard requirements. Earth Shield® Polyvinyl Chloride Waterstop (PVC) is the perfect solution for most water and wastewater applications. 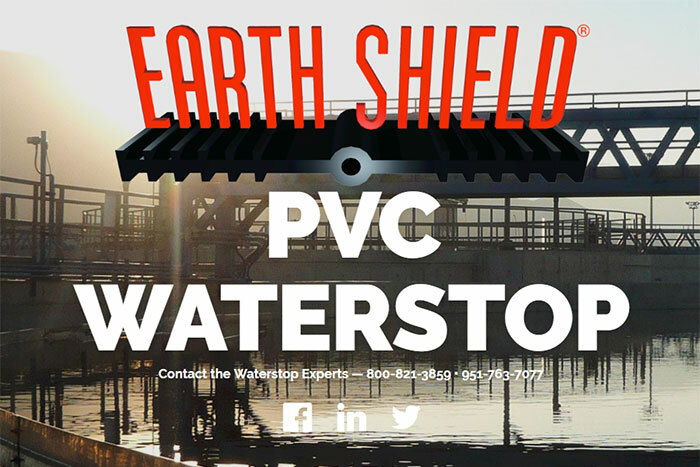 Earth Shield® PVC Waterstop is manufactured from prime virgin resin and is the trusted choice for environmental engineered concrete structures. CRD C572-74 compliant and NSF 61 certified waterstop profiles for new and retrofit applications.